All Blacks 27-19 at ANZ Stadium in Sydney. The Test match victory before 73,824 fans is the first time in the Rugby Championship that Australia have beaten New Zealand and just the All Blacks second loss in the tournament. The Australian victory is the Wallabies first since 2012 and also keeps the Bledisloe Cup alive for another week as Australia and New Zealand meet again next weekend in Auckland at Eden Park. 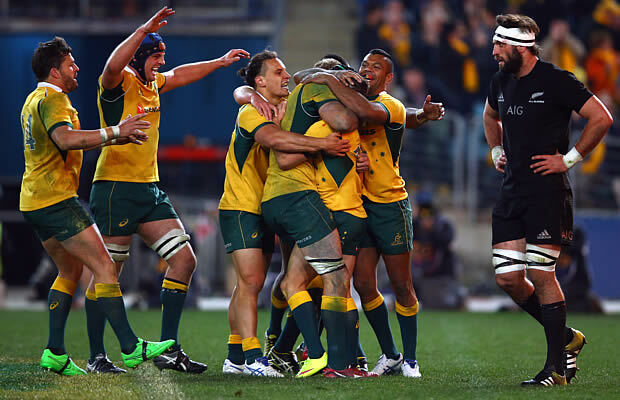 The Wallabies last beat the All Blacks 25-20 in Brisbane in 2011 on the way to winning the Tri-Nations. All Black winger Nehe Milner-Skuddder scored two tries on his international debut but ultimately Australia outscored the All Blacks by three tries to two with Nic White proving to be the hero by scoring a try, penalty and conversion after coming on as a replacement with 15 minutes remaining. previous coaching regimes of Robbie Deans and Ewen McKenzie. out from the World Cup. Cup they last held in 2002.
tackle from Michael Hooper for only trailing by three points at half-time. Kepu was yellow carded for off-side as New Zealand pressed Australia’s try-line. in their first sustained period of attack. second attempt came off an upright. 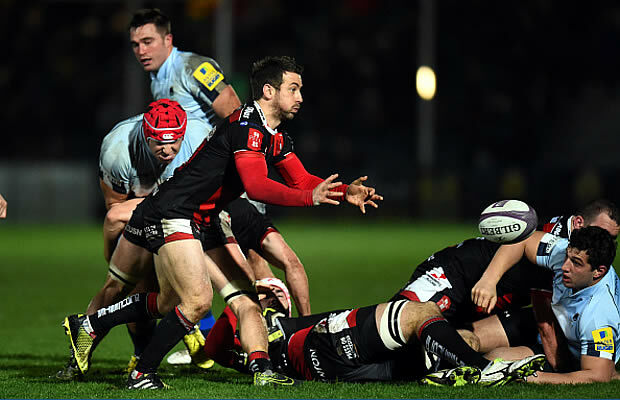 Dean Mumm fumbling a poorly directed Nick Phipps in the next phase. the Wallabies hit the front through an unlikely source minutes later. under the bar for Giteau to convert for a 10-6 lead. the first player to raise 1,500 Test points. his team down a man at a critical time. the ball over the try-line at the second attempt. goal into the final 10 minutes.